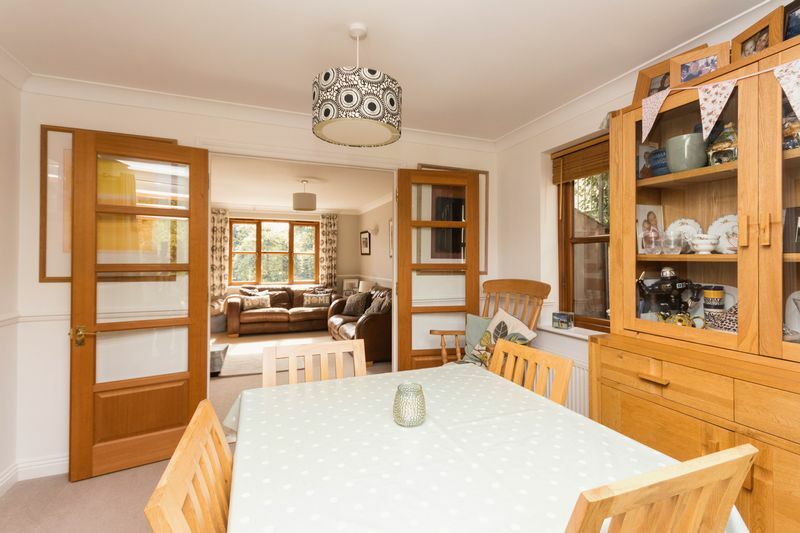 A beautifully decorated and maintained three double bedroom detached home, situated in a quiet, private cul-de-sac in Dunchideock surrounded by rolling Devon countryside. The property has been designed to emulate a traditional village cottage with white washed rendered elevations under a steeply pitched roof with natural slate tiles and timber framed double glazed windows. 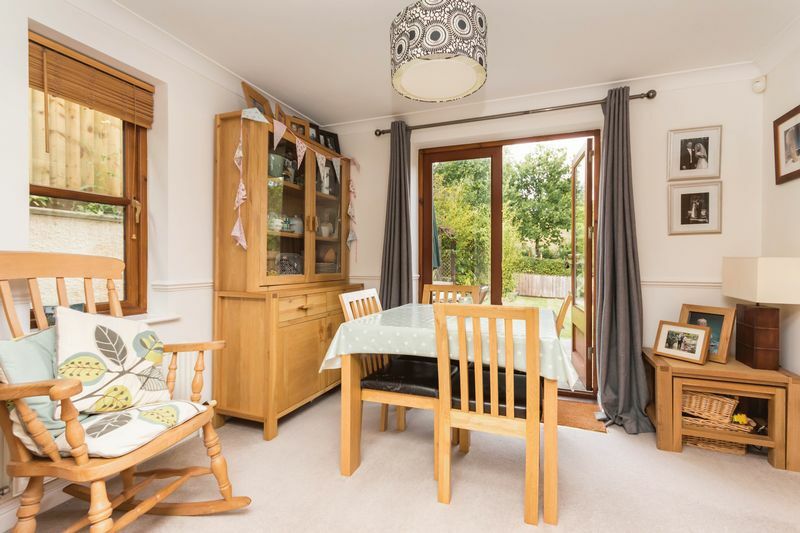 The property has been lovingly improved by the current owners and viewing is highly recommended to appreciate not just the property but the position on offer within this lovely village. Dunchideock is a particularly popular village which is situated in the Haldon Hills, mid way between the cathedral and university city of Exeter and Dartmoor National Park. 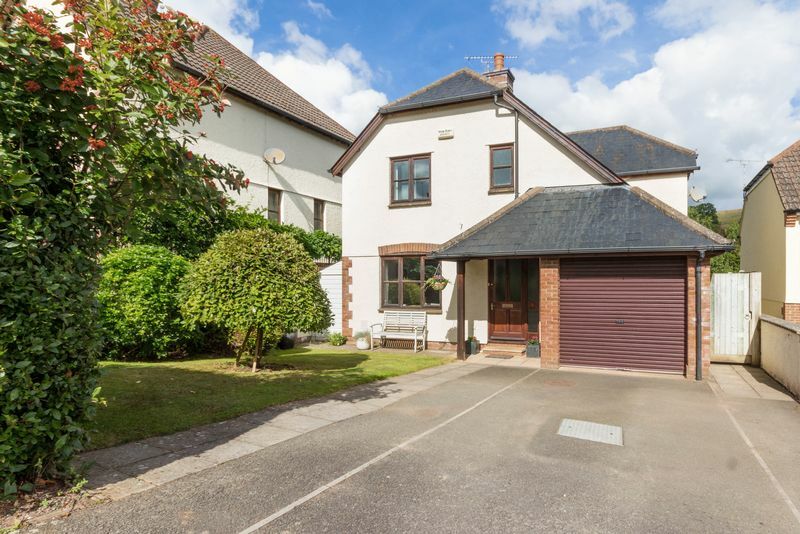 The village sits amongst peaceful Devon countryside, yet with the convenience of easy access to the city centre and the A38 and A30 dual carriageway which in turn provides access to the M5. 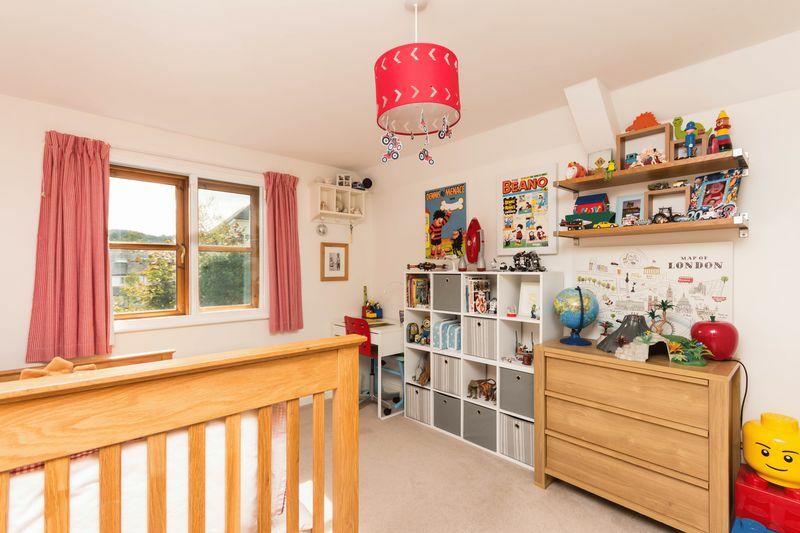 There are sought after schools in the surrounding villages which are easily accessible. The university and cathedral city of Exeter is under 5 miles away and offers the majority of department stores, specialist shops and supermarkets. Dartmoor National Park is best known for its striking granite tors, steep wooded river valleys and heather covered moorland. Offering a wide selection of recreational opportunities such as walking, cycling, riding and fishing on the River Dart. Many of the region's finest beaches are within easy driving distance. A covered porch leads to the hard wood double glazed front door providing access into the entrance hallway. The living room sits to the front of the house with a window overlooking the front garden. 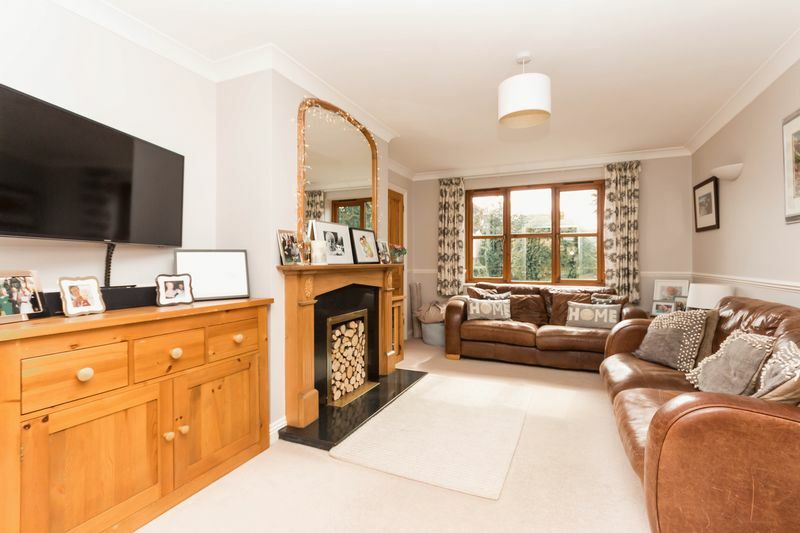 An attractive open fire with a wooden hearth with mirror over and stone surround creates a focal point and contrasts beautifully with the neutral decor and cream carpets. Double glazed doors lead into the dining room allowing for either open plan or separate rooms. There's a return door to the kitchen/breakfast room and double doors opening out to the decked area of the garden. Allowing for convenient garden access in the Summer months! 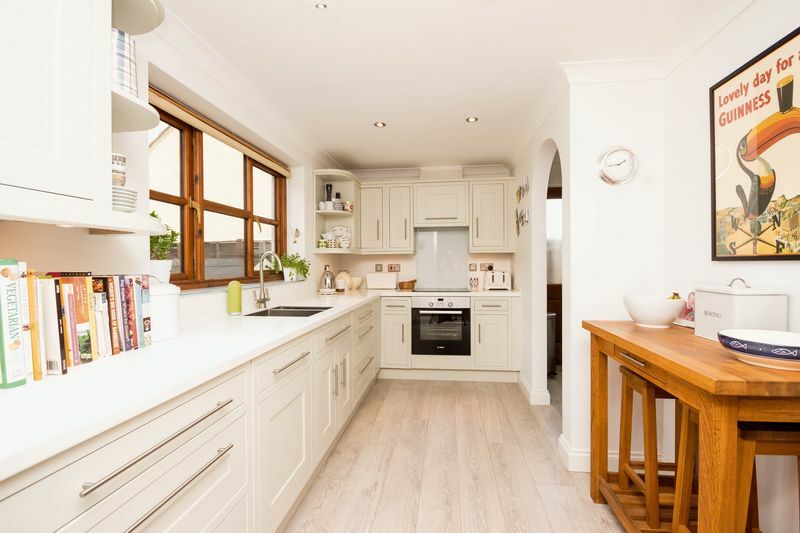 The Kitchen/breakfast room is a lovely bright room with French Grey coloured solid wood units and drawers with soft close feature. There is a one and a half bowl sink and drainer set into the ‘Apollo Slab’ work surface in ice white. There is also an integrated Bosch oven and hob with an extractor fan over and stylish glass splash back. Also integrated is the Bosch dishwasher and fridge & freezer. 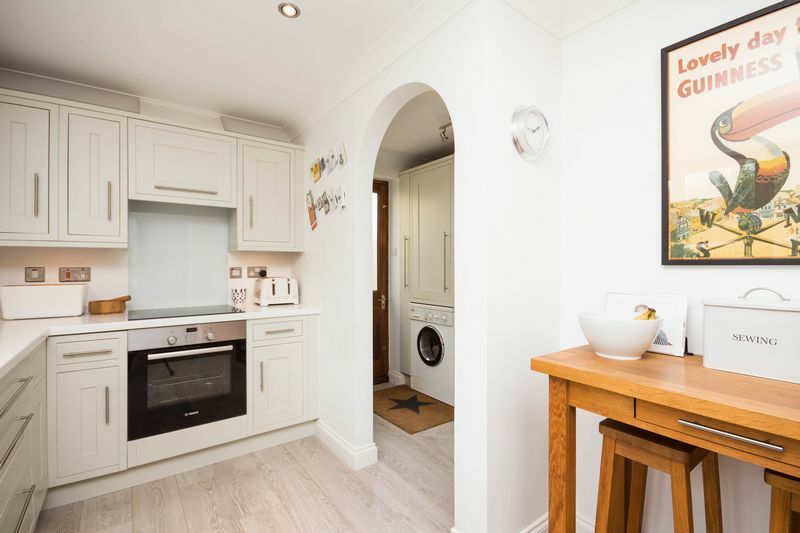 An arch leads through to the utility room which has a range of built in cupboards matching those in the kitchen. Space/ plumbing for a washing machine. A door leads onto the garden. There is a downstairs WC. From the hallway a door leads into the garage which has been adapted by the current owners to offer a generous storage space to the front of the garage with a roller shutter door. 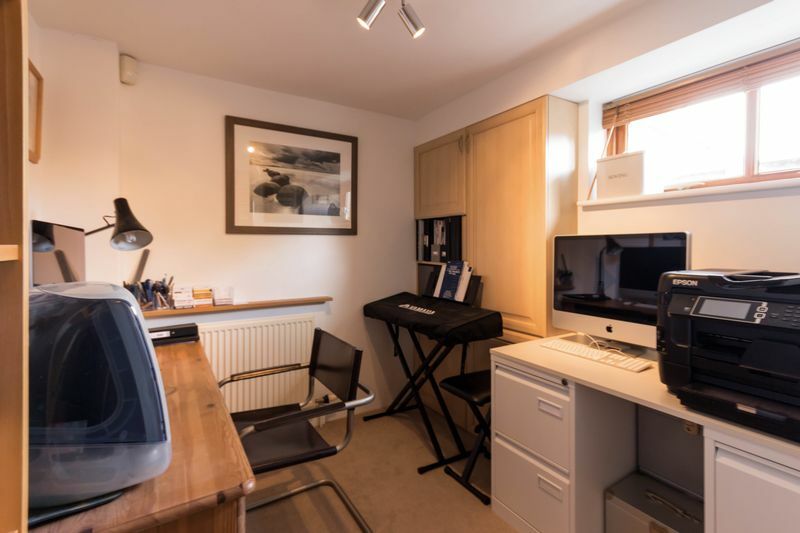 The rear of the garage now makes the perfect hideaway home office/hobby room enjoying central heating, lighting and a window to the side aspect. 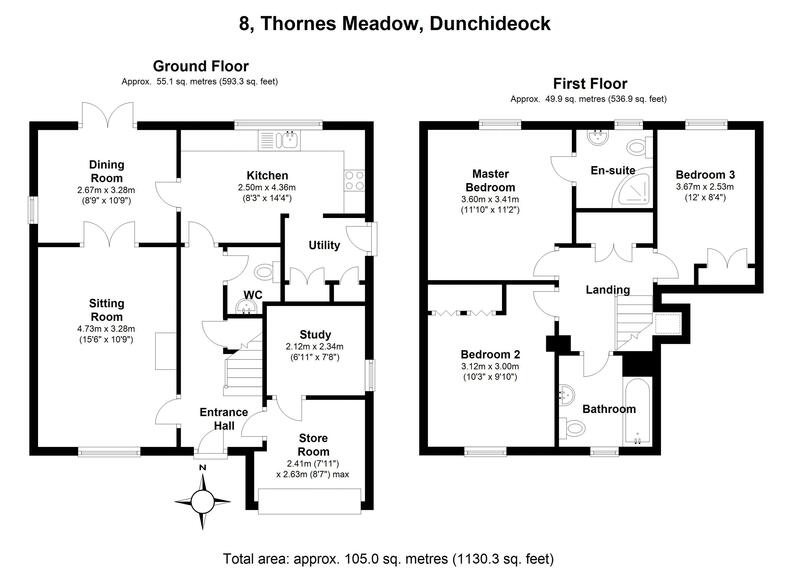 On the first floor there are three double bedrooms. 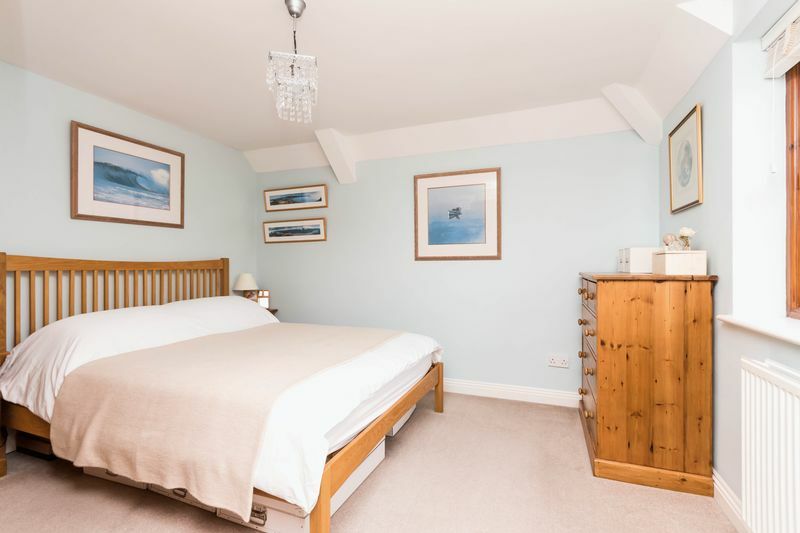 The master bedroom boasts wonderful open views to the rear across to the neighbouring fields. The master bedroom also enjoys an en-suite shower room finished to a high spec with tiles by ‘Fired Earth’, a large ‘Kohler’ corner shower enclosure with ‘Bristan’ shower and tap, a WC and basin set into a vanity unit with inbuilt storage. 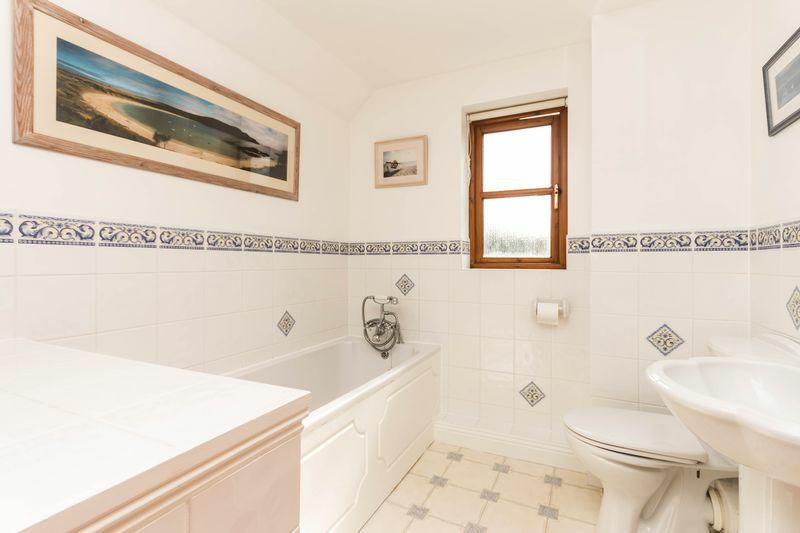 There's a heated towel rail and complementary tiled flooring. 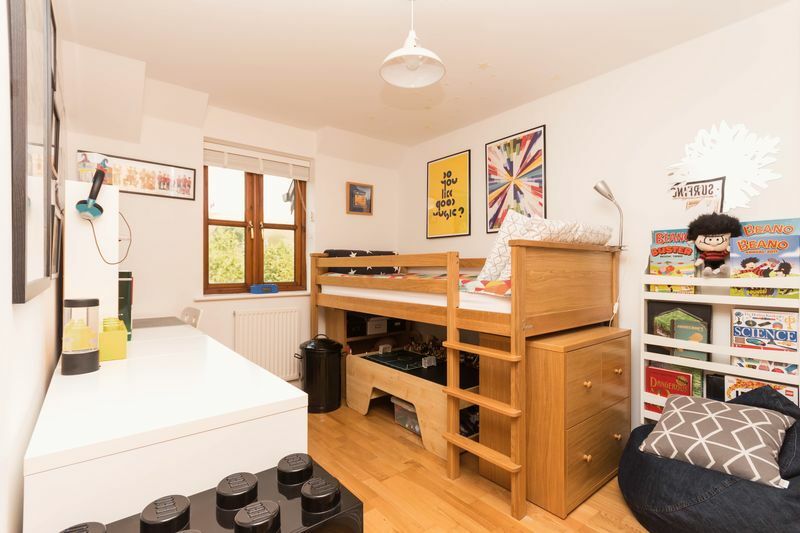 Bedrooms two and three are both double rooms with built in storage. Bedroom three also enjoys the rural outlook to the rear aspect. 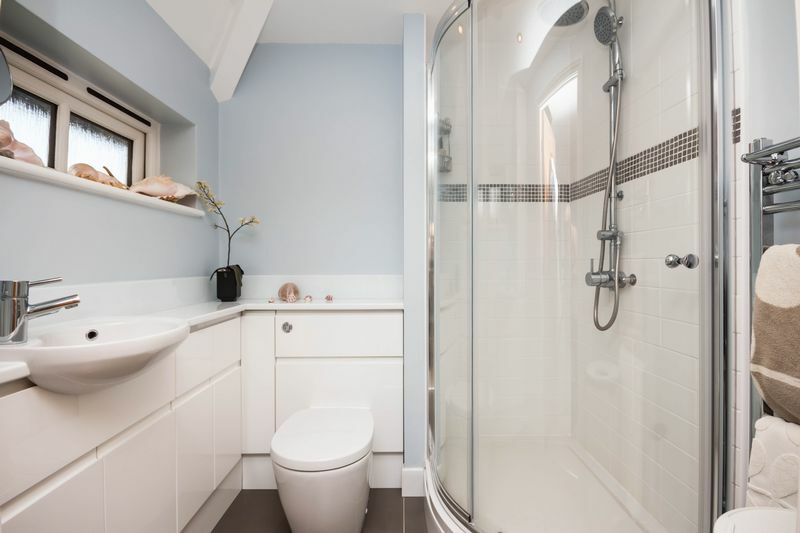 The family bathroom is fitted with a white suite comprising a paneled bath with shower attachment and mixer tap, a WC and a wash hand basin. The airing cupboard is situated on the landing. To the front of the property is a double width driveway providing off road parking. A path leads to the front door. The front garden is level and laid to lawn with a range of small trees and hedging providing a pleasant outlook to match the rear! A side gate leads into the garden. On the opposite side of the property is a wooden store with a slate roof. 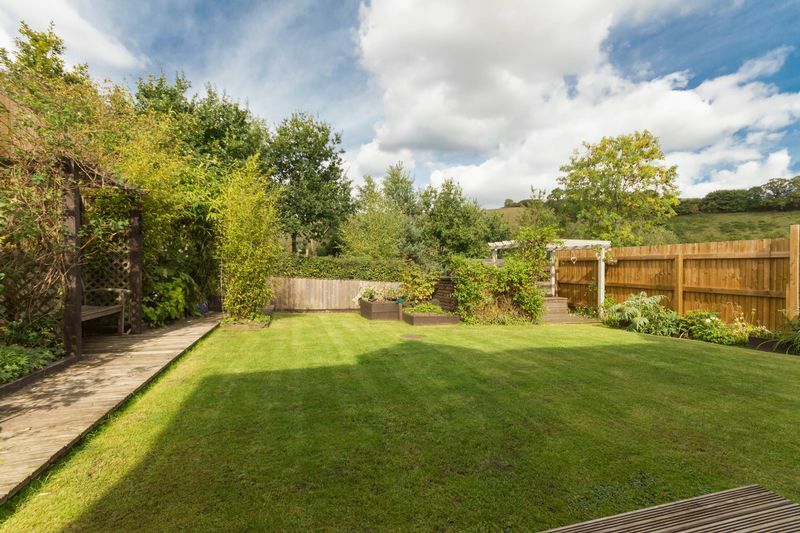 The rear garden is level and has been beautifully landscaped by the current owners. 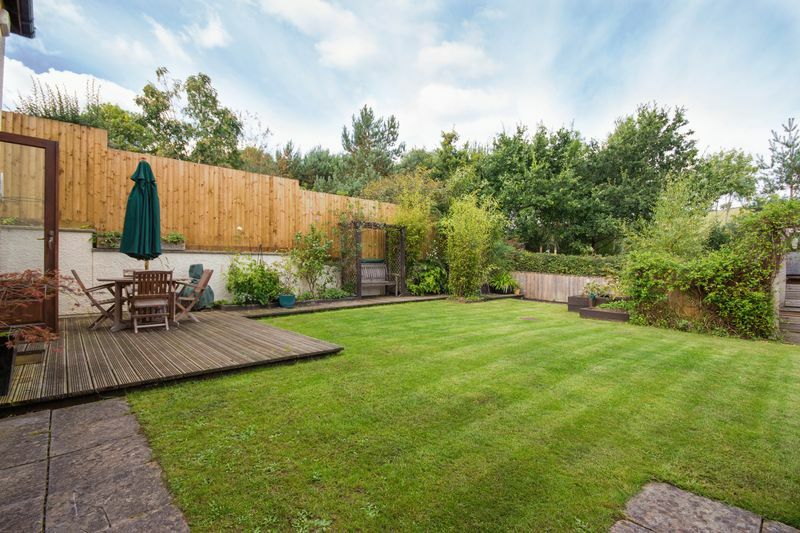 There is an area of decking adjacent to the house with a patio area to one side – the perfect spot for a table and chairs for alfresco dining or listening to the local wildlife! The remainder of the garden is laid to well maintained lawn. A feature pergola has been added with decking below and a fitted seat/bench with storage underneath. There is a further pergola which again makes a great spot for a bench. There is a raised vegetable patch and raised plant borders. The garden is enclosed with fencing and enjoys a pleasant outlook. There are steps down to a garden shed and oil tank which keeps it out of sight!